It was great to see some of you at the Innovations conference held this week in Laramie. Previously the community colleges and the university held separate events to highlight technology and digital learning. K12 incorporated the information into other, various events. This year we joined forces and the feedback was excellent–I predict this event will grow each year. 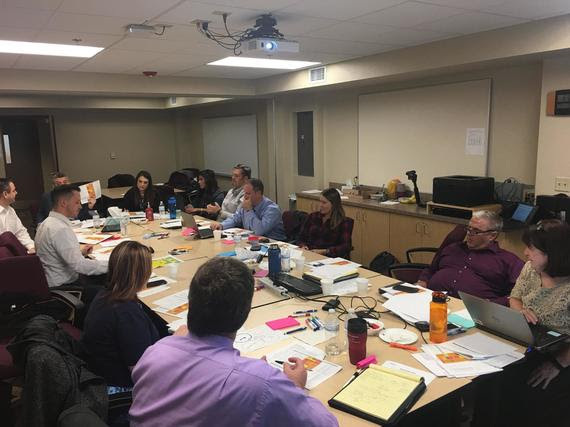 Participants heard from state and national speakers, learned how to better leverage Canvas, our statewide Learning Management System (LMS), discussed teacher certification, talked about reporting dashboards, and much more. We all benefit from the strong partnership between K12 and higher education. 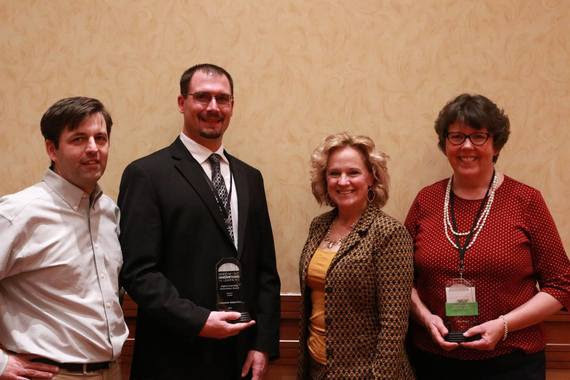 For the first year ever Wyoming K12 innovation leaders were recognized for their efforts. This year Erin Moore of Gannett Peak Technology was awarded the partnership award. To accept the award was her colleague, Tighe Fagan. Erin and Tighe have helped bring “Coders of the West” from vision to reality. They are excellent partners in education. Cameron Kukuchka is an innovator in Johnson County. He was recognized for his leadership as an administrator and technology pioneer at Johnson County School District. Cameron embraces his unique role of leading both staff and students to better utilize new technologies. Library/Media Specialist Julie Weitz works at Sheridan Junior High School. She has fostered a love for reading and technology that extends far beyond the walls of her library. INAUGURAL K12 DIGITAL LEARNING INNOVATIONS AWARD WINNERS! Cheyenne will be a busy city next week with a Revenue Committee meeting, the Governor’s Business Forum, and a special event, the Tech Jobs Tour. Another week to note is December 4-10–Computer Science Education Week. For the second year, we are asking all schools and all grades to consider participating in at least one hour of coding. Governor Mead will once again sign a proclamation. This year, I intend to visit schools again as well as “makerspaces.” If you have a school or makerspace in your community that you’d like me to visit, please reach out (especially if it’s a space where students and adults are working together). I am really looking forward to the week! A cross-agency team from WDE gathered for two days to analyze data collected by Education Northwest. The goal (besides collaboration) is to better align support we provide to school districts through the multi-tiered and state systems of support. Lastly, I have an opportunity to travel next week to rural New York toward the end of next week to visit a unique community school model. This is an exciting and challenging time for all of us to rethink how to enable students to learn and thrive. This community school model in rural NY in focused on family and community engagement for student success. I’ll visit university-assisted community schools where university administration, faculty and students support the development, implementation and evaluation of community schools as an economic and community development strategy and civic engagement initiative. I look forward to sharing what I observed during my visit. 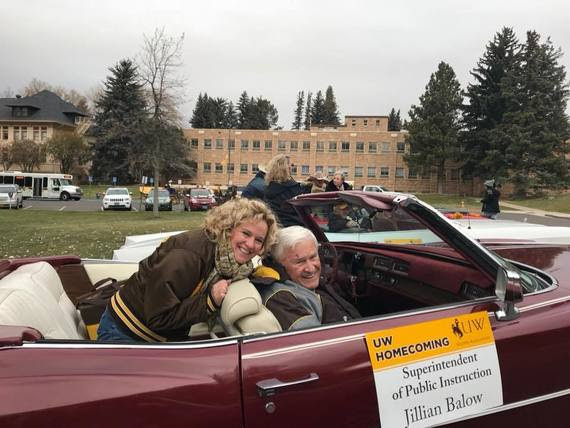 My dad was my +1 at the UW Homecoming Parade. Go Pokes!